Dr. Ken Harris, President of the National Business League. Since moving to downtown Detroit, Google has been doing its due diligence within the black community in the city. The world’s leading cloud-based technology provider donated a total of $1 million in grants to two inner-city STEM programs in the city earlier this month. Now the company is partnering with the National Business League (NBL) to help black businesses in Detroit succeed in the digital economy. Google, the No.52 ranked business in the world by Fortune and the NBL, the oldest trade association for black businesses in the United States announced the collaboration at Google’s new Alphabet office inside Little Caesars Arena. The global partnership will consist of a wide range of strategic initiatives to benefit black entrepreneurs, including online training programs, workshops, business coaching, and access to a complete suite of Google cloud-based solutions and tools beginning in Detroit. 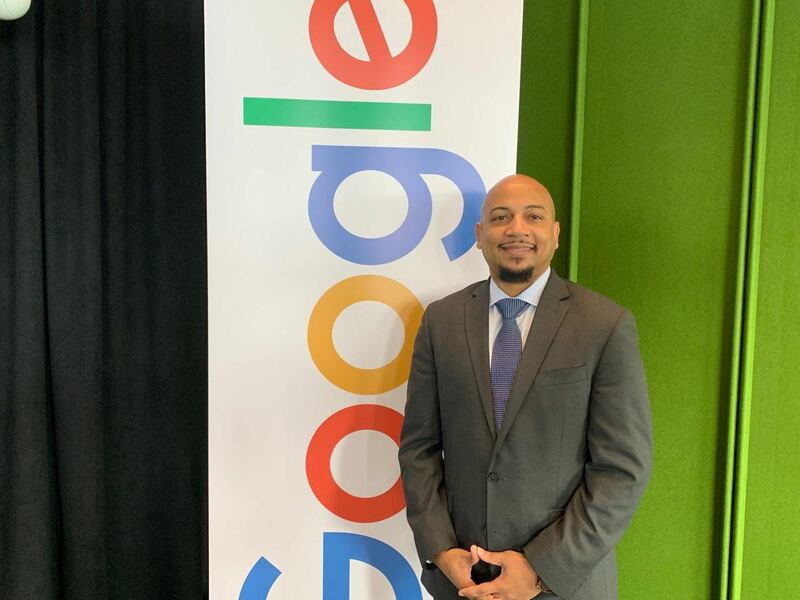 By connecting NBL’s pipeline of entrepreneurs and Google’s knowledge and technology advancements, the two organizations are combining their efforts to accelerate the growth of businesses of color across the nation. In addition to Detroit’s kick-off, the partnership will be launched in several regions including Atlanta, Los Angeles, and Washington D.C. and with the NBL’s more than 365 leagues across the country and internationally. Allen Pugh, Ken Harris, Cloe Guidry-Reed, Katrina Turnbow, Chris Genteel, and Eric Hardy. The partnership will provide businesses with a free website, domain name, and email address as well as free search engine optimization tools. They also will have full access to Google’s cloud-based G Suite, which includes Google Docs, Sheets, Calendar and more. Harris said programming with both free and paid workshops will begin in 2019. Terry Willis, owner of TerryWorldWide LLC, a Detroit-based distributor, is a baby boomer and had little knowledge of the internet and Google. That prompted him to explore Google Analytics and other social media resources available for businesses over the last few months to assure his business is able to keep up in the technology age. Harris said the resources that will be available could help businesses to reach a new national and international audience. The NBL, founded 118 years ago by Booker T. Washington, will also be able to better support the next generation of entrepreneurs across its 365 leagues. Of the approximately 2.6 million black businesses in the country, Harris said 90 percent of them have five employees or fewer.